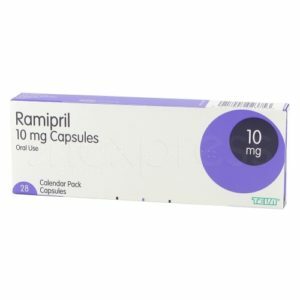 Bendroflumethiazide is an approved treatment for lowing high blood pressure and also works to reduce water retention. Bendroflumethiazide is pronounced – BEN-droe-FLOO-me-THYE-a-zide. Bendroflumethiazide belongs to a group of medications known as thiazide diuretics, which are referred to as ‘water tablets’. 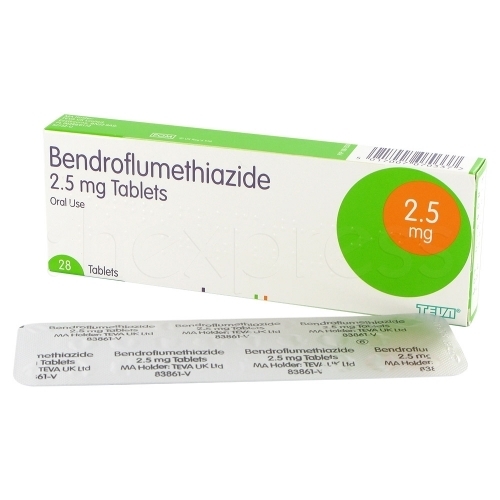 Bendroflumethiazide tablets remove excess fluid from your body and increases how often you pass urine. It takes years to develop high blood pressure and usually affects people at least once during their life. Make sure you have regular check ups and blood tests to diagnose high blood pressure so you can start treatment immediately. Bendroflumethiazide works in the kidneys to expand their ability to remove salts from the blood. This causes water to be drawn from the blood into the kidneys, where it’s removed naturally from the body through urine. Removing water from the blood decreases the volume of fluid circulating through blood vessels in your body. By doing this it reduces the pressure within the blood vessels and how hard the heart needs to pump, which can lead to lowering high blood pressure. Bendroflumethiazide should be taken at the same time daily for a long period. This will help you form a routine and you are less likely to forget to take the medication and skip a day. All medications have side effects you need to be aware of. However not everyone will experience side effects when taking Bendroflumethiazide. You also need to keep in mind that some side effects can be quite minor compared to the serious condition you have if left untreated. How do I purchase Bendroflumethiazide online? 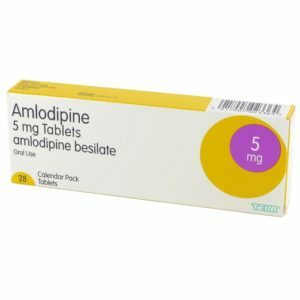 Bendroflumethiazide is available to treat high blood pressure and can be purchased online very discreetly. 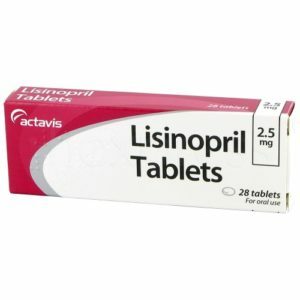 Firstly, you will need to complete an online consultation to purchase the prescription medication. This is a free consultation that only takes a few minutes. Once that is completed, and you have been approved for the medication, it will be sent to you from the chemist within 24 hours. Drop blood pressure to within normal limits on first dose. Been using since 1998.